By the time you are reading this, Spring Break has finally come to a halt. My condolences. It's time to put our thinking caps back on and head on off to school again. That's enough about school for now. 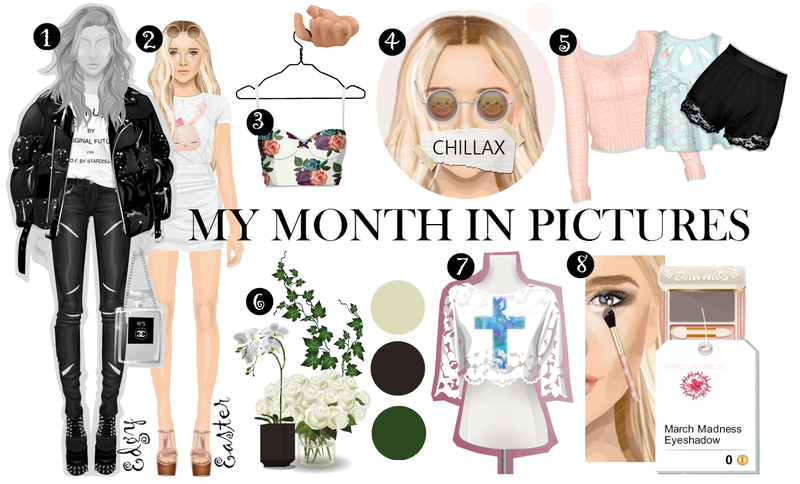 Today's post contains a summary of my Stardoll month. 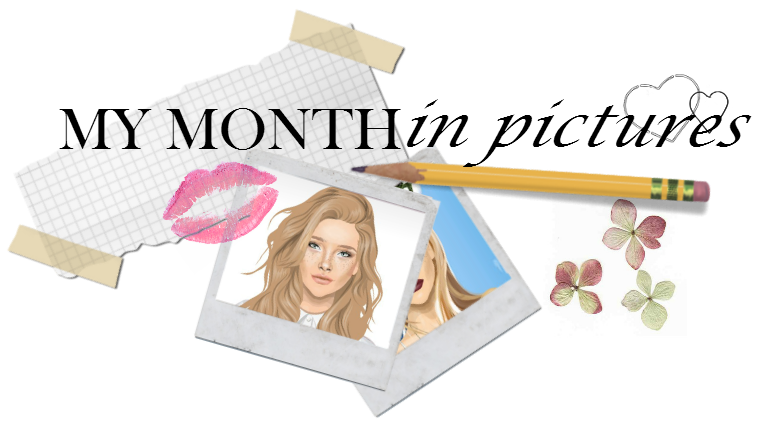 I hope you enjoy reading it as I much as I loved putting this post together and make sure to tell me your highlight of March/April. ➊Here's a little outfit I made using a statement tee from the new collection of Original Future. This has to be my most favourite item released these past few weeks. ➋This is a look I put together today. That cute bunny t-shirt was an Easter freebie. ➌I have wanted this corset top for so long. When I saw that it was released in Callie's Picks, I immediately bought it without hesitation. ➍These 60s hippie glasses from Sunny Bunny are another favourite of mine. ➎I took advantage of the StarPlaza sale held to commemorate International Women's Day and got these items (along with many others) for a very low-cost price. ➏Since spring has sprung, I got some floral decor items to soak in the season. ➐The colours in this very simple StarDesign reminds me of spring/summer and the symbol of course is perfect for Easter. I can do a quick tutorial if you guys would like. 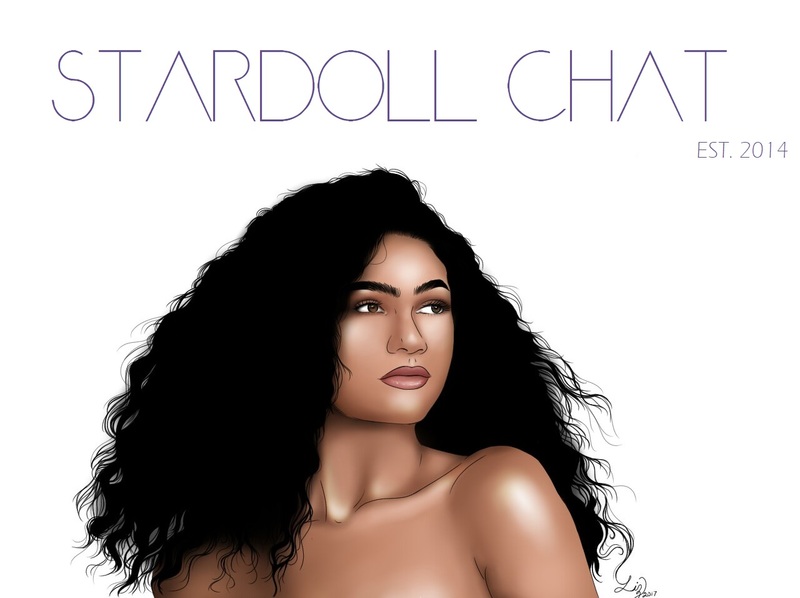 ➑This natural toned eyeshadow looks amazing, especially for something that was free. Back to the topic of school (I won't torture you for too long, I promise). I decided to gather some gifs from around the internet (*cough* Tumblr) to hopefully warm your hearts and make you forget about the exams ahead (for like a second).